If you want your homemade bread to stay fresher for longer, you’re best off storing it in a reusable cotton bag or a plastic bag, our research shows. Homemade bread doesn’t contain the extra preservatives that supermarket loaves often do, so it can be a battle to keep it fresh beyond the first day or two. 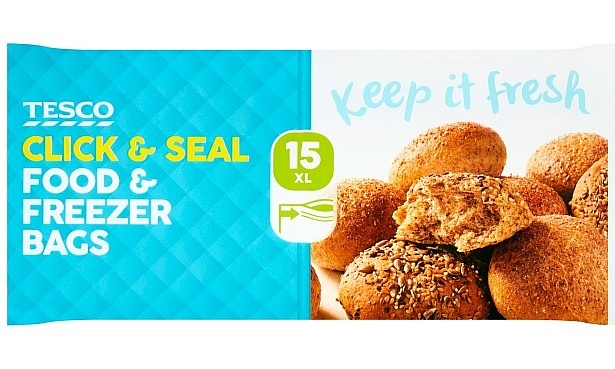 We tried out a range of popular bread storage solutions to find out which ones keep a loaf fresh the longest, and which ones are a fast route to stale or mouldy bread. We found that, even after one day, there were big differences in how fresh the loaves stayed in different containers. The loaf kept in a cotton bag still had a lovely firm crust and soft, springy interior. Our loaf stored in a plastic bag was a close second, but other options such as a bread bin and plastic box were less effective, with bread already starting to dry out. After four days, loaves kept in the cotton bag and plastic bag were still edible, albeit a little dry, whereas some of the others were brick-like and inedible. Best bread makers – discover which models we recommend for the best homemade loaves. We made several basic white loaves in a Best Buy bread maker. Once they had completely cooled we cut each one in half and stored a half-loaf inside each container. 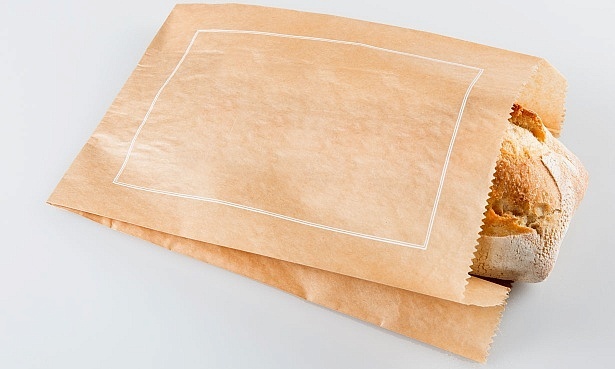 Paper bag – with a plastic film front, of the type that supermarket fresh bread comes in. All our loaves came out of the bread maker with crispy crusts and a nice soft and springy crumb texture. Over the course of five days we assessed how well the loaves lasted in each container. We assessed them against each other and their original condition, looking for signs of the crusts turning soft or dry, and of the exposed centre drying out and going stale or mouldy. Best: Cotton bag After three days the exposed end of the bread is still mostly soft, with just a little dryness around the edges. By day five, mould has begun to develop and the bread is dry. Plastic bag From day one, the end of the loaf is a little dry around the edges and the crust goes a little soft, but it remains relatively stable until day five when mould appears and the exposed end is dry. Plastic bread box After three days the exposed end of bread is still soft in the centre, but increasingly dry round the edges with a soft crust. By day five, mould has developed and the bread is dry. Paper bag Feels dry from day one, and hard and stale by day two. By day four, it’s inedibly tough. Metal bread bin Even after one day, the exposed end of the loaf is dry and unappetising. By day four, it’s pretty much rock hard. Can’t see the table? Click here to view the full story on the Which? website. 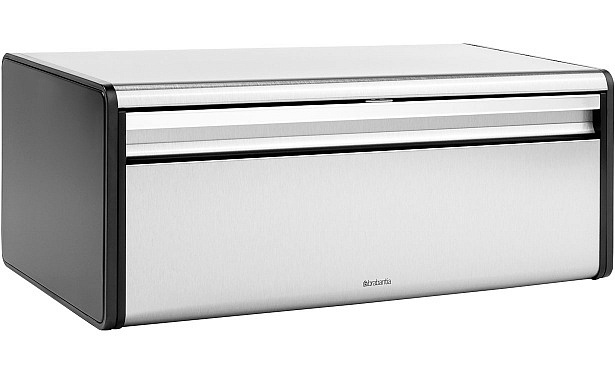 This stylish bread bin will keep your worktops tidy and free from stray teatime treats, but it was one of the worst options for keeping bread maker loaves soft in our tryout. Bread dried out quickly, so if you’re partial to the tidy profile of a bread bin it’s worth protecting your loaves with a cotton or plastic bag as well for maximum freshness. This bread box has a special plastic rack to sit your loaf on, so air can still circulate. It’s OK, keeping bread relatively moist and soft in the centre, although we found the crust went soft after a day, and then firmed up again as it became stale. 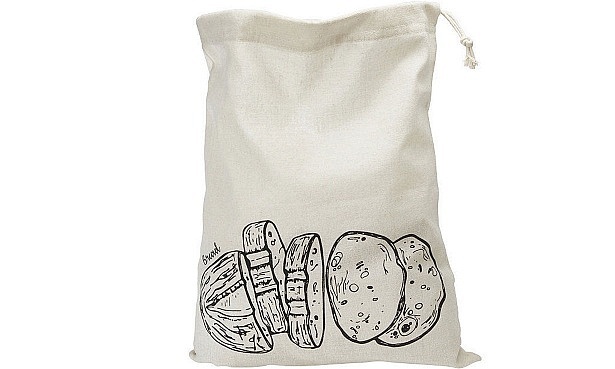 This reusable plastic-lined cotton drawstring bread bag may not look as neat on your kitchen worktop as a bread bin, but it kept our bread maker loaves lovely and soft, with a firm crust, for longest. You can always stash it in a bread bin if you don’t want it lying around. If it needs a spruce up, the inner lining can be wiped clean and left to dry. A plastic bag is a good option for easy and effective bread storage. In our trial, it kept bread mostly soft though we found the crust softened a bit too. You can re-use the bags, although a cotton bag is a better option for repeated use. This method isn’t great for homemade bread maker loaves, which typically have a thinner and less firm crust than bakery loaves. Within two days, our loaf was dry and stale, and by day three it was already touch and go as to whether it was still edible. Bread maker advice – find out how to bake the perfect loaf, and how to get the best out of your bread maker with our bread making guides. Why does homemade bread go off so quickly? Homemade bread only stays at its best for a very short time, with most loaves edible for two to four days after baking. By contrast, a loaf bought from a supermarket could last much longer. This is mainly because the bread you make yourself at home doesn’t contain additives or preservatives. How you store your loaf affects how much it is exposed to air: two of the storage methods we tried made our bread dry out and go stale, while the bread stored in the cotton bag, the plastic bag and the plastic box stayed fairly soft, but mould developed after five days. 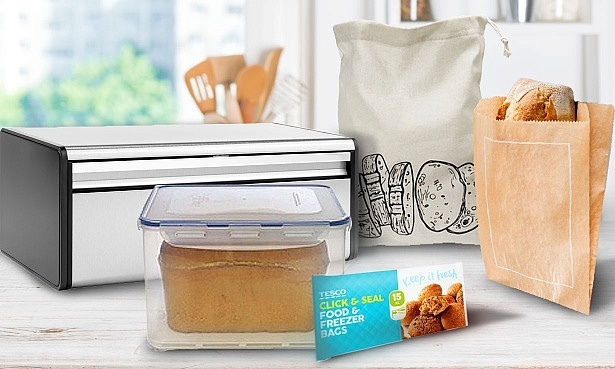 Too much moisture loss, through absorption by the paper bag, or exposure to too much air in the case of the bread bin, causes the bread to dry out. This is what turns a crispy crust soft. Bread goes stale by a chemical reaction: the high quantity of starch in the bread causes it to crystallise on contact with air, giving it a dry, crunchy feel. 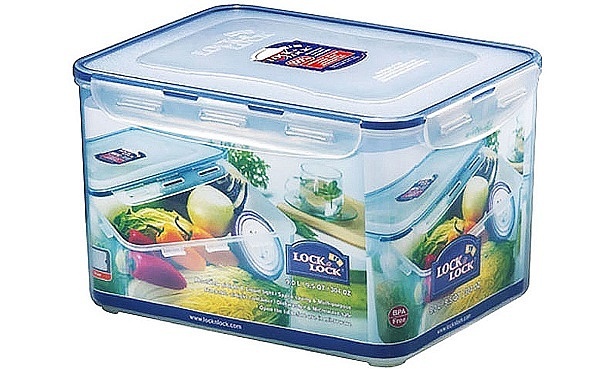 Airtight containers, such as the plastic box and plastic bag, retain the moisture and keep the bread softer. However, this provides conditions in which mould can grow. 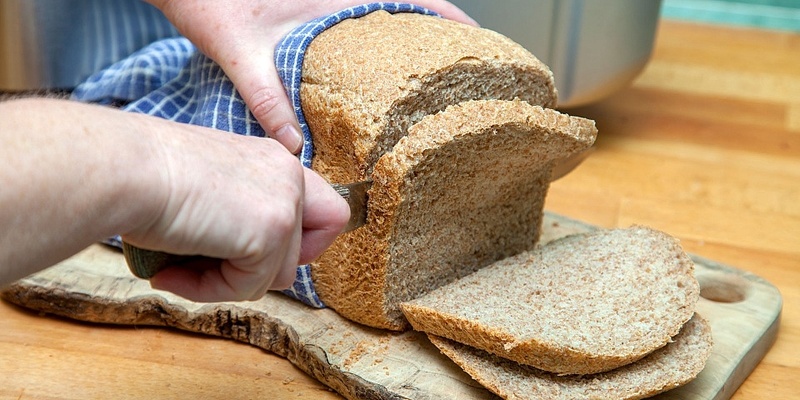 Store your bread in one of our recommended methods to help it last longer. If you can’t get through a loaf in a few days, try making a smaller loaf. Most bread makers give you the option to do this. Alternatively, you can cut the loaf in half and freeze part of it. If your homemade bread does start to go dry and stale, it can still be saved. If it’s not too far gone, you can use it for toast, or freeze it for toasting later. If you slice it first, thawing it out won’t take too long. 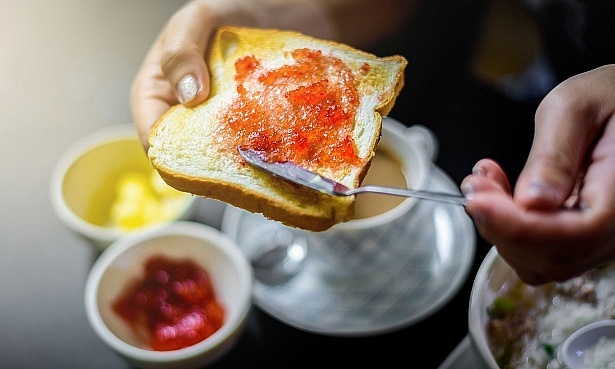 Most toasters have a defrost button so you can quickly thaw out a slice for toasting. If it’s too dry even for toast, break it up into small pieces and use a food processor or grater to turn your loaf into breadcrumbs. These can be kept fresh for a few days or frozen for future use. Handy for topping pasta bakes, coating fish, meat or veg, and even making desserts such as treacle tart. Cubes of slightly stale bread can be baked or fried and turned into croutons for use in soups or salads too. Toaster reviews – discover the best and worst toasters. Making your own bread can be incredibly satisfying, and not only for the smell of freshly baked bread working its way around your house. But it can also be time-consuming once you take into account waiting around for the dough to prove before baking. Bread makers automate the process, allowing you to have the satisfaction of a homemade loaf without the hard work. Plus, you’ll know exactly what’s in it, which can be important if you need to avoid certain ingredients or just want fresh bread without preservatives. You also have more freedom to add your own nuts, seeds or other ingredients. 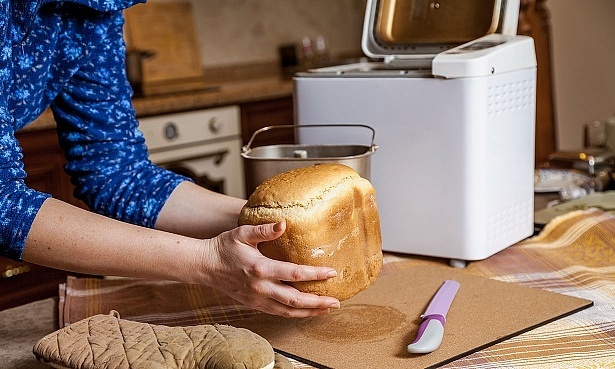 Bread makers can cost anything from around £40 to more than £200. Check our bread maker reviews to see if there are budget models worth buying, and whether the pricier models make the best bread around.